IRCTC ties up with one of the leading online payment and shopping website, Paytm to make online food ordering payments easier for the train passengers. 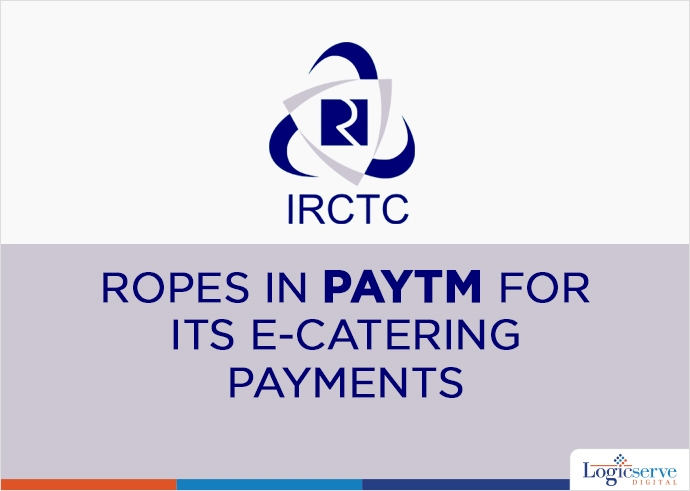 Indian Railway Catering and Tourism (IRCTC) ties up with one of the leading online payment and shopping website, Paytm to make online food ordering payments easier for the train passengers. According to A. K. Manocha, IRCTC Chairman and Managing Director, this tie up will provide maximum online payment options to passengers. Efforts are also made to bring in reputed caterers and fast food giants like McDonald’s, Wangs Kitchen, Bikanerwala, Nirula’s and more in IRCTC’s e-catering portfolio. The passengers can now enjoy making online e-catering payments through either cash-on-delivery (CoD) or prepaid online payments at their convenience. For “Food on Track”, an e-catering facility, IRCTC has already joined hands with Food Panda that has enabled passengers to order from an array of food options. IRCTC sends an email to travelling passengers one day prior to know whether they would like to opt for e-catering services through their website. Presently, IRCTC on an average clocks around 6 Lakh online bookings daily.